Well, did you know that the 1st of August is Yorkshire Day? 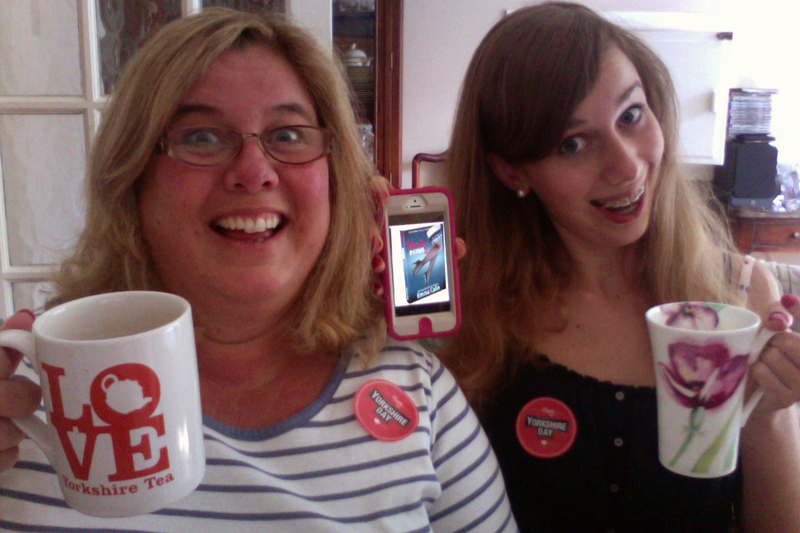 To celebrate, I’m sharing my ‘Yorkshire Tea’ stickers and a ‘proper brew’ with my wonderful daughter, who is also the leg-model for my latest romance novel ‘PASSION PATROL 2‘. It’s a steamy suspense romance with a touch of humour and features HOT cops, HOT crime, HOT romance and… HOT TEA…?!? As anyone who has read it will tell you, my heroine Shannon is as mad about tea as I am. Let me assure you – it’s far more stimulating and satisfying than all that old GREY stuff! Just £1.99 in UK or $2.99 in USA – FREE on Kindle Unlimited. Get your copy of ‘Passion Patrol 2’ here: http://www.smarturl.it/PP2, available in digital and print formats (Listed with title ‘Shannon’s Law’ in printed paperback editions). Review copies for ‘Passion Patrol 1’ ebook are currently on offer FREE for a limited time only, to lovely folk who sign up to my VIP Reader List. Cheers Yorkshire Tea for a ‘Proper Brew’! Emma Thinx: Tea bags and Crime Romance – it’s an inside job.